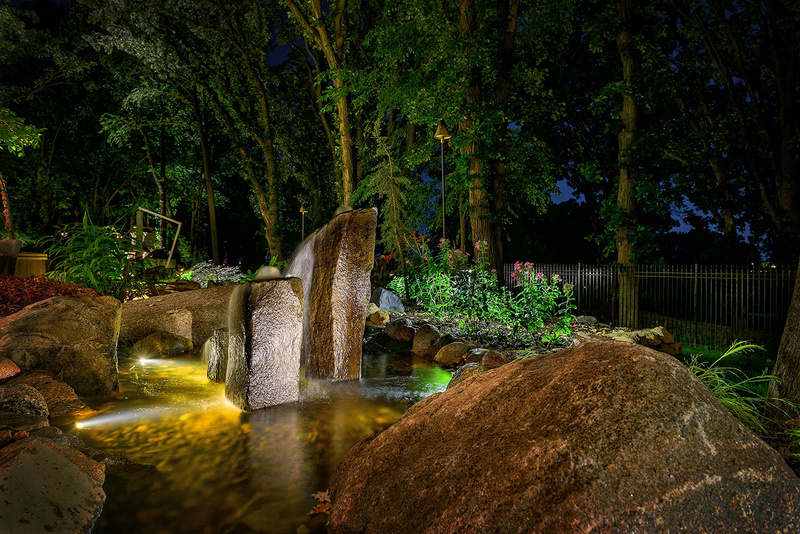 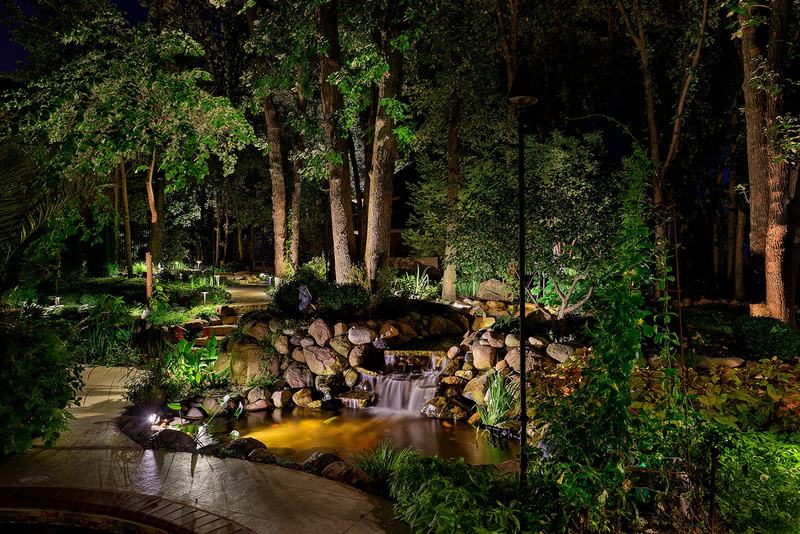 This expansive lighting project stretched over many of the homeowner’s outdoor spaces. 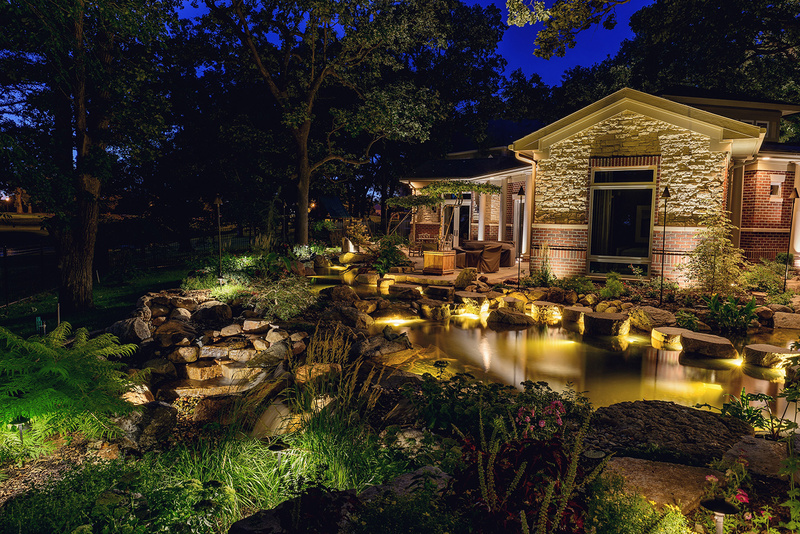 The primary design premise was to illuminate the outdoor living areas so that the homeowner could comfortably enjoying spending many evening hours enjoying his outdoor spaces. 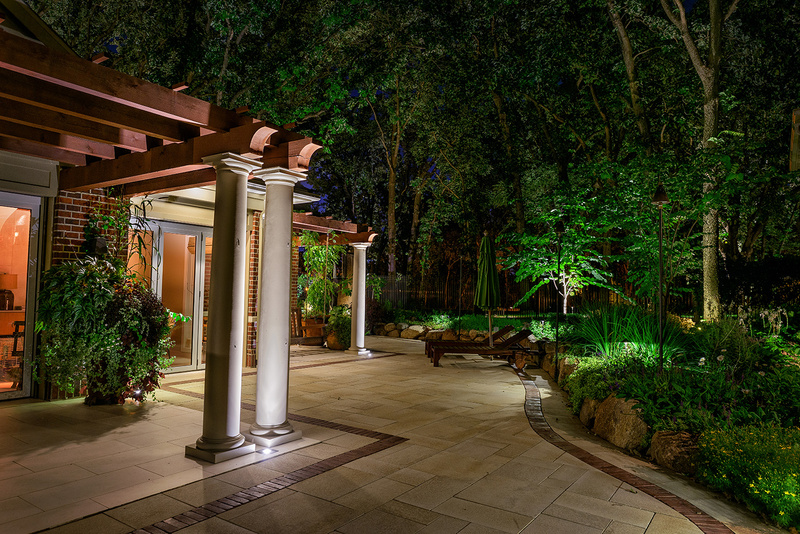 The homeowners would often work long hours, so it was important to make these outdoor areas available and usable to them at any hour of the night. 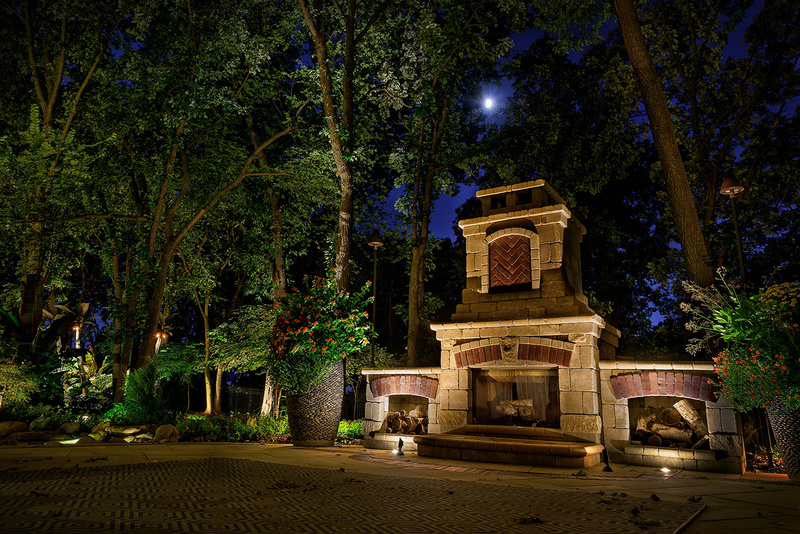 The tall trees around the property create a wonderful canvas on which to light. 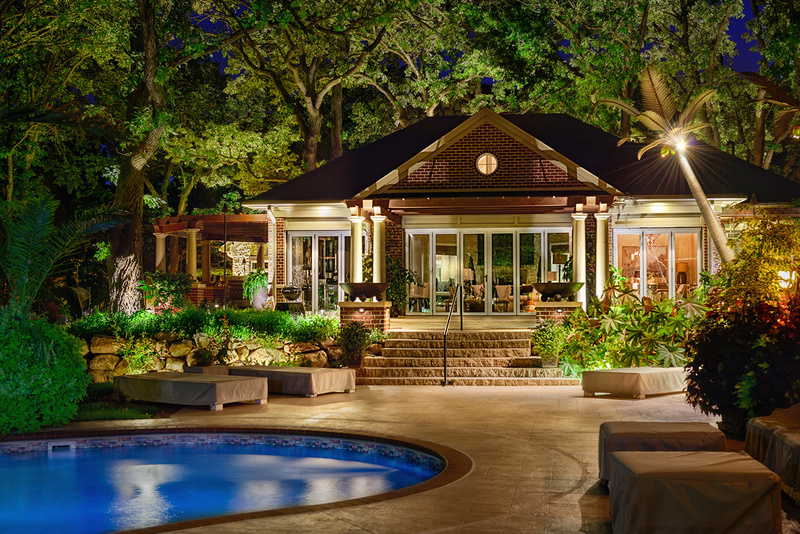 The tall green canopies created the perfect backdrop, almost giving them the sense that they were walls surrounding their outdoor rooms. 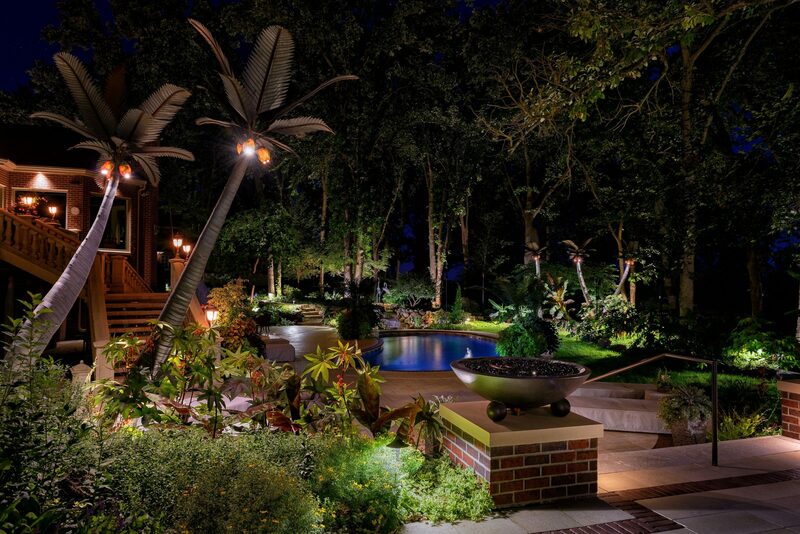 This client loved the south, but lives in the Midwest, so custom steel palm trees with down lights, were fashioned and placed around the pool area for illumination and accent of the pool and pool decking. 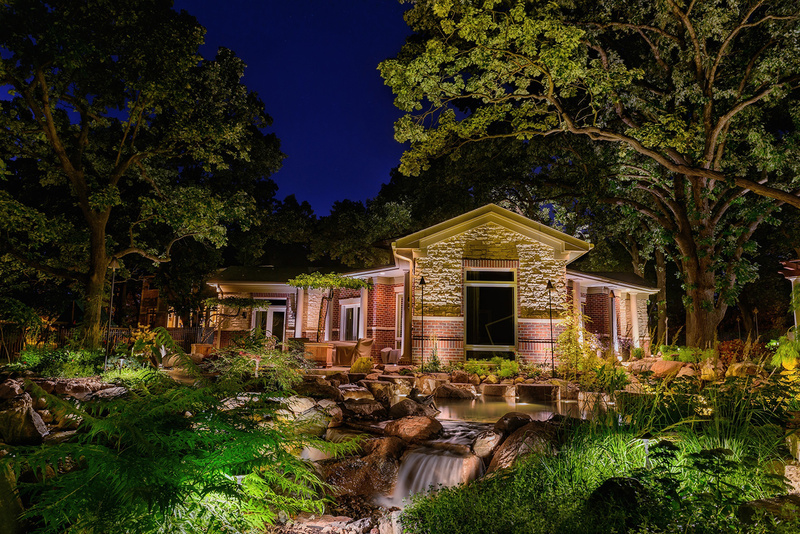 Companion plantings of castor bean and red fiber banana plants round out the feel of this Midwest oasis.